Made with Birch veneer, engineered board and hardwood solids. Distinctive two-tone cottage style finish. 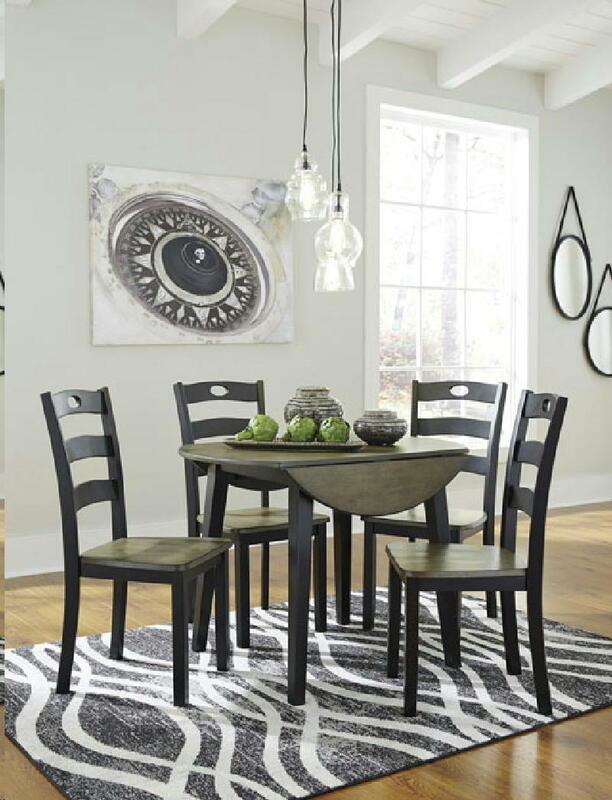 Black table base and chair frame with grayed brown color table top and chair seat. Round drop leaf table for smaller space dining. Square counter height table for smaller gathering spaces. D338-223 barstool dimensions: 18 inchW x 20 inchD x 42 inchH. Grand Furniture began as a small, one-store operation in downtown Norfolk, in 1947. Founded by Rose Stein, and assisted by her two sons, Grand quickly gained the reputation as a store where customers could get both quality home furnishings and honest value.